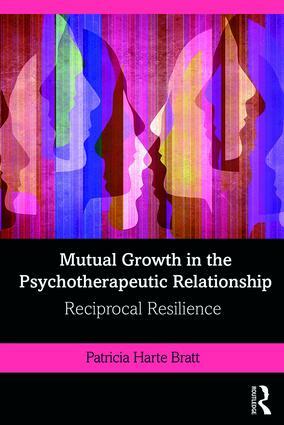 Mutual Growth in the Psychotherapeutic Relationship: Reciprocal Resilience is an essential, innovative guide for mental health professionals who listen repeatedly to stories of devastation and trauma. Moving beyond traditions that consider the clinician as existing only for the patient and not as an individual, this breakthrough model explores the possibility of mutual resilience-building and personal benefit developing between therapists and their patients. The first section of the book situates Reciprocal Resilience in the context of evolving resilience studies. The second section provides lively, demonstrative clinical anecdotes from therapists themselves, organized into chapters focused on enhancing their positive strategies for coping and growth while functioning under duress. This book presents a framework for teaching and supervising psychotherapists that can enrich clinician well-being, while recognizing the therapeutic relationship as the key for enabling patients’ emotional growth. It challenges mental health practitioners to share their own experiences, presenting a research model syntonic with how clinicians think and work daily in their professional practice. It offers a pioneering approach, finding inspiration in even the darkest moments for therapists and patients alike.